Oil on Canvasboard. 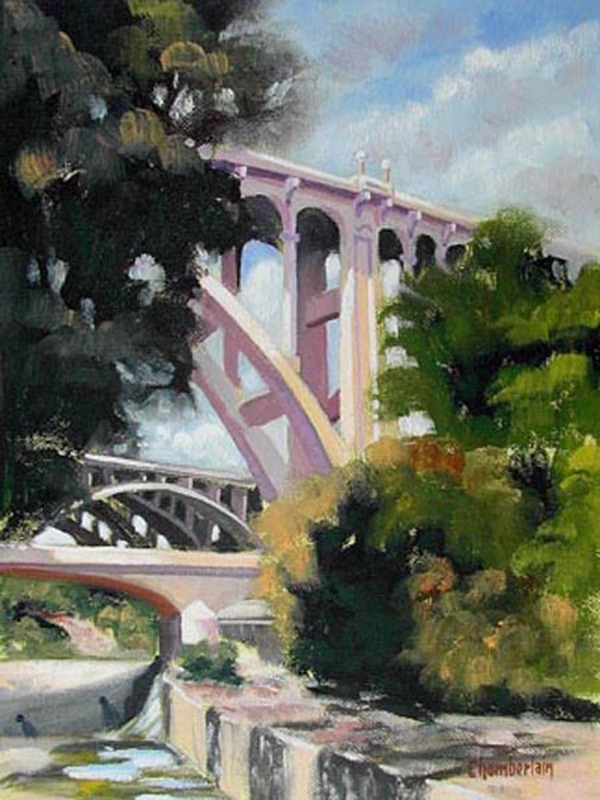 A unique view of three Arroyo Seco bridges - the 134 Freeway in the backgrould and the Colorado Street Bridge rising above the small access bridge across the wash. Private collection, California.